If you find yourself wandering the old cobbled streets of Dublin in search of a quality coffee, don’t feel like the search will be in vain, because hidden just outside of Dublins city centre is Proper Order Coffee Co. The winner of Lovin Dublin’s “Dublin’s Best Coffee 2016” award, and after visiting the cafe and sampling their wares, it’s easy to see why. Having just opened their doors on January the 19th this year, David, who just so happens to be my brother, and Niall, a long standing friend, are making their stamp on the Dublin coffee scene. With a wealth of knowledge and accolades between them – David a two time Irish Champion, winning the Irish brewers cup in 2012 and the Irish latte art championship in 2015 – Niall placing 3rd in the Irish Barista competition 2014 and 2015, and placing 2nd in 2016 – how could they not! Proper Order can be found on Smithfield Square, famous for its vibrant food markets, and the cattle fair it use to hold, back when the cobbles were first laid. You’ll be drawn in by the Georgian architecture and board-game inspired logo, but stay for the quality coffee on offer. Walking into the shop, your eye will be caught by the 3 group La Marzocco linea PB with in built scales, supported by two Mythos One grinders. You will of course see Red Brick on the menu board and if you’re lucky you might find the guys pulling shots of a single origin espresso to perfection. For those who are after a filter or guest espresso, these are available from the EK43 Grinder and Marco F45M brewer setup and La Marzocco Vulcano grinder respectfully. Now you ask “what else?”. Well, menu wise one thing will pique your interests, the “Slap And Tickle”. A signature drink that changes daily and is a clear favourite amongst the regulars, who eagerly await the next days concoction. The first day I had an orange spiced latte, with dehydrated orange zest sprinkled on the top. It was amazing, complementing the espresso perfectly. The second days “Slap And Tickle” was a shot of Red Brick with Buena Vista Cascara made into a soda as a chaser, again delicious. I had two. Both David and Niall have a practiced understanding of how flavour pairings work with the coffees they serve, and it shows, especially in their signature drinks. Sitting in the shop you can’t help feel relaxed and at home as you take in the photographs of the Irish countryside smattered playfully around the cafe, set against the backdrop of a white, exposed brick interior (a particular highlight is the fireplace, still in its original form, sitting proudly in the middle of the cafe). This feeling is further enhanced by the positive atmosphere David, Niall and their skilled baristas provide. The guys have become somewhat of coffee celebrities in the area, with most customers preferring to stand at the bar and get in a chat for a few minutes. They’re full of funny stories that will keep you entertained for hours, managing to create a real Dublin environment within the shop. You can’t help but smile and laugh whilst enjoying your coffee and chatting with fellow customers and baristas. If you’re travelling to Dublin (especially for World Of Coffee in June) make sure to drop in and say hello. You won’t be disappointed. 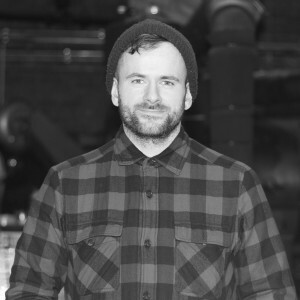 Gary Regan was part of the roasting team at Square Mile until December 2016. He started his roasting life sample roasting, and then moved up to production roasting.